Split’s Java SDK provides robust, scalable feature flag management, giving any team the power to safely launch features and target them to users. Why use Split for Java feature flags? 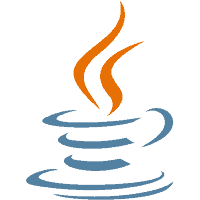 Split’s Java SDK brings scalable feature flags to any app, website or experience built with in the Java language. Split helps teams control rollouts, and customer experiences, while gathering new data and insight on how their products are being engaged. Split works across many different languages, letting developers, PMs and support teams control feature rollout from one unified view—and monitor the success of any new code. Our integrations bring rollout updates into the tools your team is already using, further opening the feature-delivery process up to your entire organization. Looking for Scala feature flag support? Split’s Java SDK includes support for Scala, allowing customers with either environment to benefit from Split’s full controlled rollout capability without needing to do anything custom. Getting started with Split is easy—in the case of Java, you just need to add the Split artifact to your project, create a Split client through your favorite injection framework, and then you’re ready to start splitting your code.